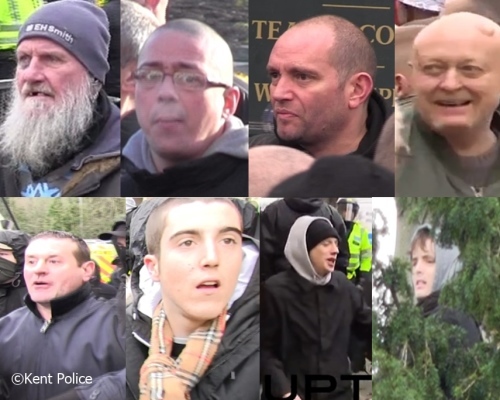 Officers investigating trouble which broke out during demonstrations in Dover earlier this year after released eight images of people they want to speak to. Violence flared when rival groups stage protests in the town on 30 January 2016. Seventy-four arrests have already been made in connection with the march and separate counter-protest. Of those 57 have been charged. Detectives continue to review CCTV and social media footage of reported offences and would like to hear from anyone who recognises those pictured. People came to Dover from across the UK on the day and anyone with information is urged to call the appeal line on 01843 222289 quoting `Operation Skep’ or email opskep@kent.pnn.police.uk.